Why struggle when you can get the perfect pedicure at the press of a button? Perfection doesn't always mean hard work. 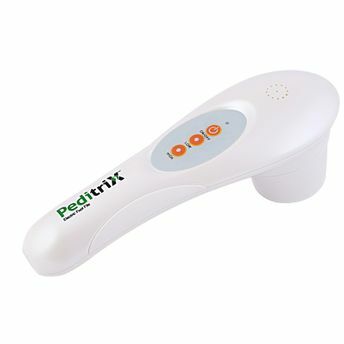 Especially once you've discovered 'Peditrix' - the professional electric foot file from Roots. It is electrically operated, so it starts and stops at your command - at the press of a button. It comes with disposable filing pads of varying grit so you can file, smoothen, and polish feet just by switching from coarse to smooth pad. Every Peditrix pack has a complimentary set of 40 filing pads, 10 of each type. It removes dead skin and tough callus and actually prevents them from growing back in just a few sittings. The 4 types of pads available are grit 60/80/120/180. These can be bought separately in packs of 50. Explore the entire range of Manicure & Pedicure Kits available on Nykaa. Shop more Roots products here.You can browse through the complete world of Roots Manicure & Pedicure Kits .